Item # 308683 Stash Points: 3,595 (?) This is the number of points you get in The Zumiez Stash for purchasing this item. Stash points are redeemable for exclusive rewards only available to Zumiez Stash members. To redeem your points check out the rewards catalog on thestash.zumiez.com. 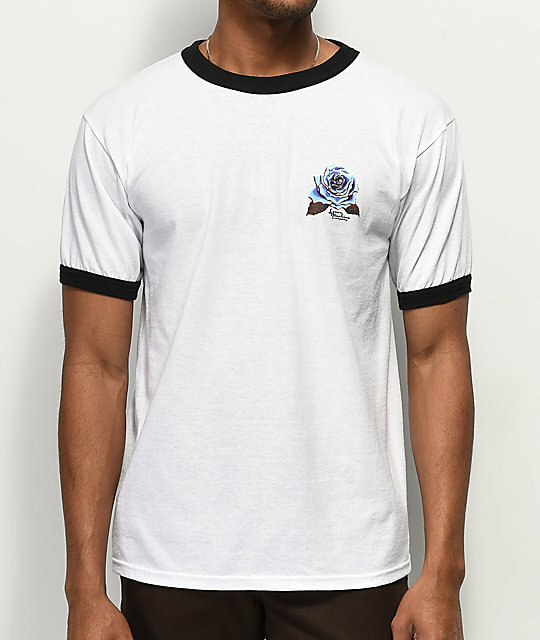 Made with a retro-inspired design, Loser Machine presents their Chrome Rose White Ringer T-Shirt. 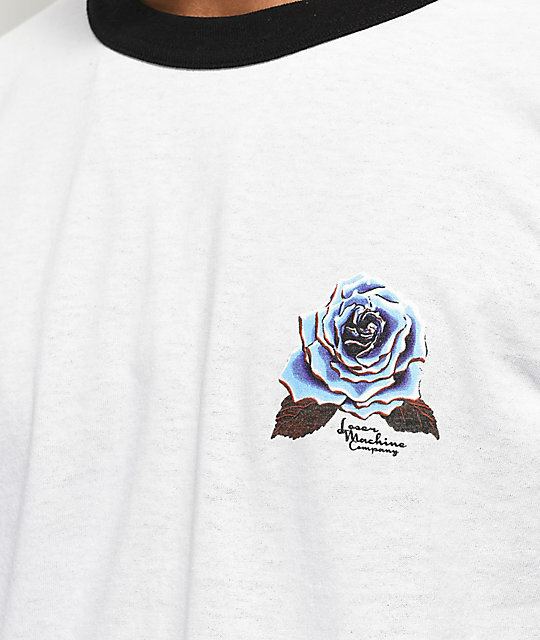 Made from a soft cotton-polyester blend, this comfortable tee offers an overall relaxed fit and features matching screen-printed graphics of a blue tinted rose and logo script, highlighted on both the left chest and back. 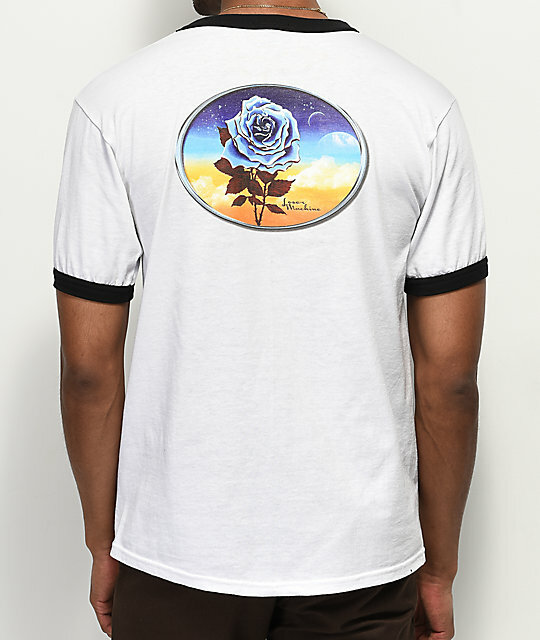 Chrome Rose White Ringer T-Shirt from Loser Machine. Black ribbed crewneck collar and sleeve cuffs. 30" (76cm) from the shoulder to bottom hem.